Facebook, which don’t require any type of introduction. Every internet user might know about this largest and fastest growing social media site. A place where people share their thoughts in form of photos and videos or as a status. This is not only to connect with your friends & family, many (I can say) every personality whether he is a blogger, product seller or anything else keep themselves connected with their fans through this social network. We’re talking about facebook fan page, through which they update their costumers from their offers and latest news and trends etc. their customers are just at the distance of hitting ‘LIKE’ button! The case may be any other for you, I mean you may have a facebook fan page but it may be just for fun or for any other purpose. Even it may be anything but once you created a facebook page, I am sure you will be thinking of, how can i increase likes of my facebook page? So if that is the question and looking for some tips and few free ways to increase likes on facebook then you are in the right place because in this how-to tutorial we will be discussing ways to increase the number of likes on your facebook fan page. I am sure you will see positive change after implementing these tips. The first and the more easiest step you have to do is that invite your friends to your newly facebook page facebook gives you an option to send an invitation to your friend to like the page. So it is possible that most of your friends will like your page and you will see your facebook page likes boosts! TIP: you can also search for a trick (script) that enable you to invite all of your friends to your facebook page. This also depends on how many friends you have on your facebook page. Yeah, your profile picture and cover photo must need to be a nice-looking, heart-picking and attractive. Keep it relevant while designing. Adding a little funny effect to the photo will make it perfect! The fact behind this is that people will take interest in your page in the first impression. Also the possibility is that their friends may also hit ‘like page’ after seeing your page cover photo and profile picture on their news feed. Hosting contests on your newly (or old) facebook fan page will also increase the number of likes on your page. The type of contest vary depend upon your page category and type. For instance, let you are a blogger and have a blog, you can start a contest that we’ll be sharing your link message if you invite your friends to our page. as well as to tell your friends to leave a comment on our latest post and mention you. Go straight forward and ask your fans that please invite your friends to like our page. If your fans really like your page, some of them may hit invite button. In return it is possible that you will get more likes for your facebook page. 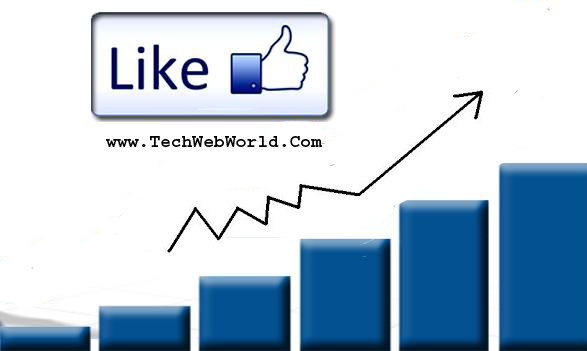 Another way of increasing facebook likes is that do like for like. The process of this is that hit like on other pages and ask them for return. If you think where I can find people having the interest of like for like then lots of groups are in the facebook where you can share your status and ask them to do like for like. Tip: Search for “Like For Like” on facebook. Next are the Facebook groups which can be used for increasing number of likes for your page. At the end of your status, you can ask them to like your page so it Is possible that if someone liked you status, he/she will like your page too. But note that while sharing your page link, you must to abide by the group rules. So before doing it read the rules carefully. If they don’t allow you then skip this one. Lots of websites are available which not only allow you to increase likes of your FB fan page but also you can get more social signals i.e google +1’s, Shares, youtube views, twitter tweets etc. You can find a list of these sites under Sites to increase tacebook likes for free. This is in case you have a blog or website and want to increase likes of FB page then you can simply add the facebook social plugin to your blog or website, it may be below the post body or at the sidebar. So when someone comes through your blog. It is possible that he may click ‘LIKE’ button and that what you are looking for!!! So friends, In this post we shared few points on how you can increase likes of facebook page. As there are also other ways to do so but they are paid for example advertising. I hope you liked the post and the post was helpful for you. Also if you have any other tip for us that can boost likes of facebook page then let us know in the comment box below! OWNER 2014 Adversal is the best adsense alternative. Great to see us Unite to help each other.